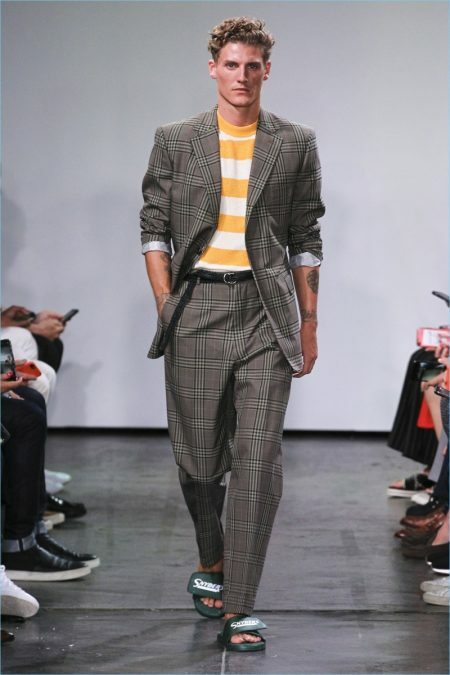 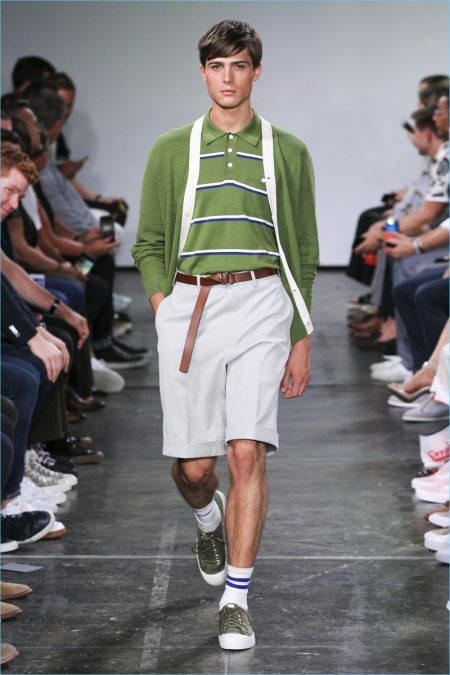 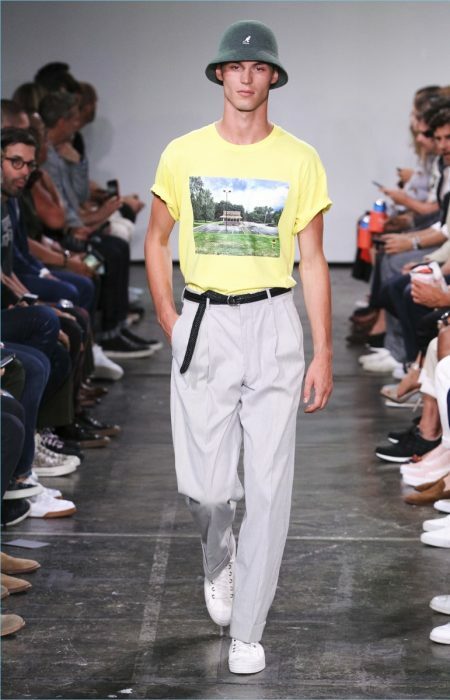 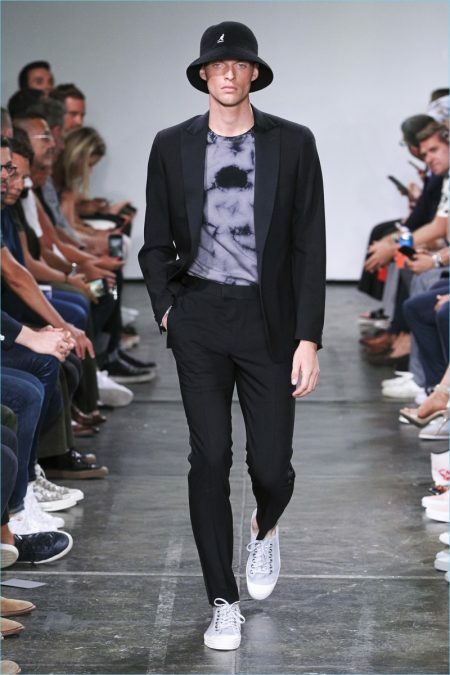 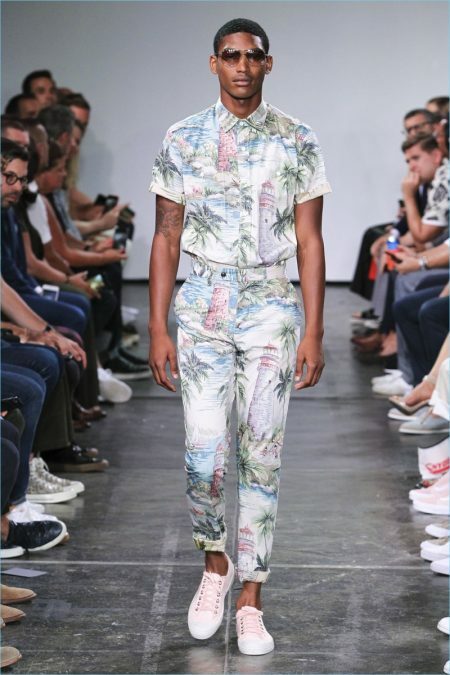 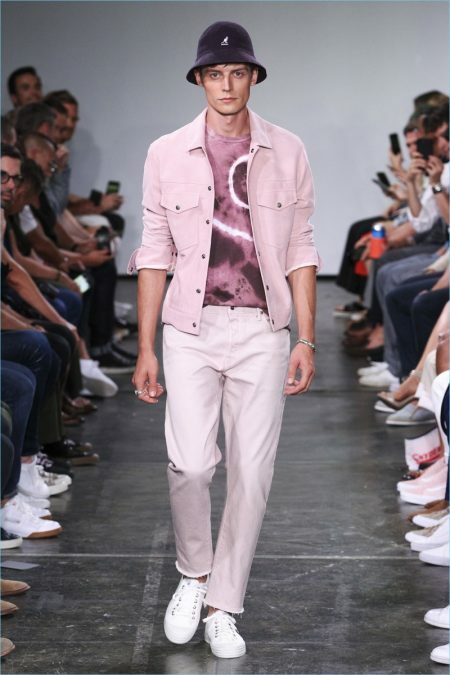 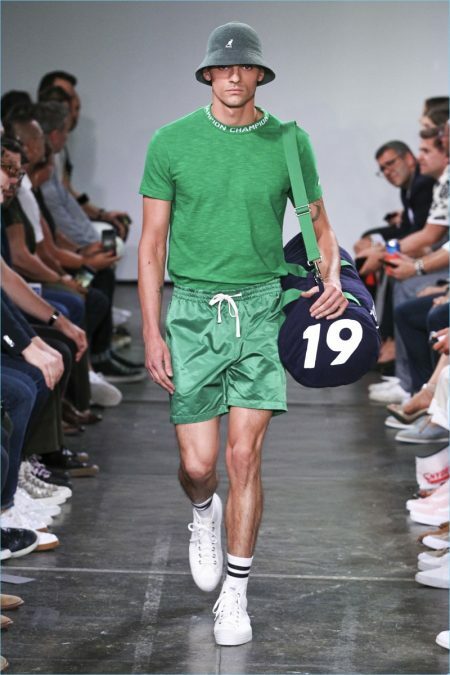 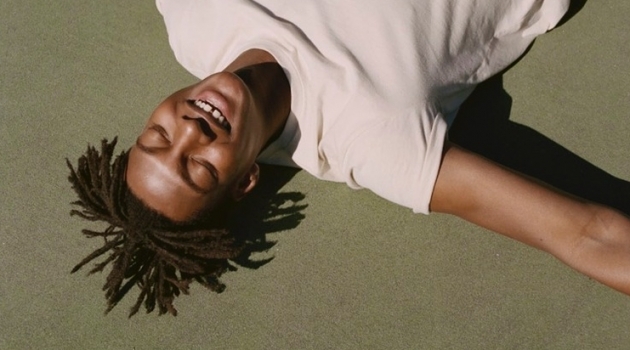 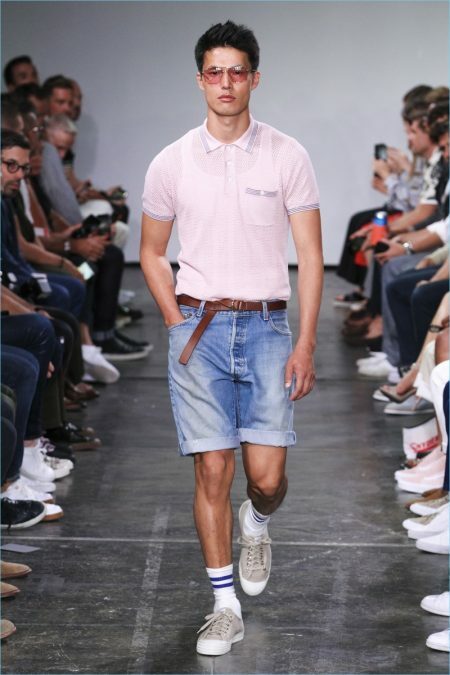 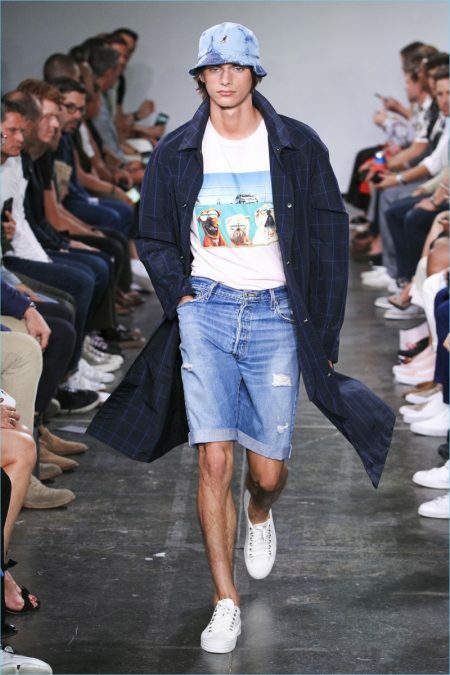 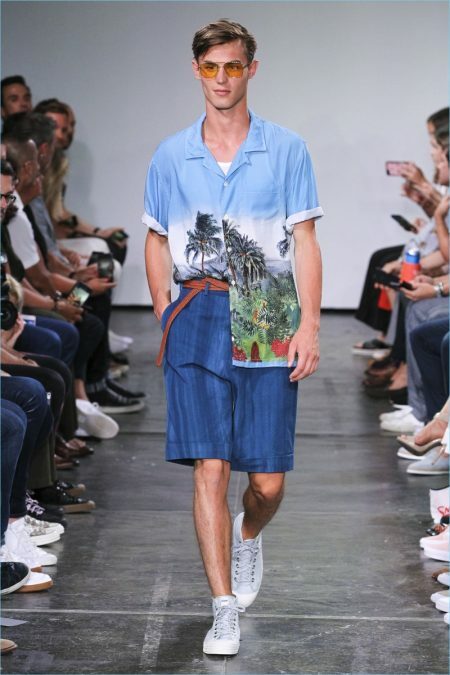 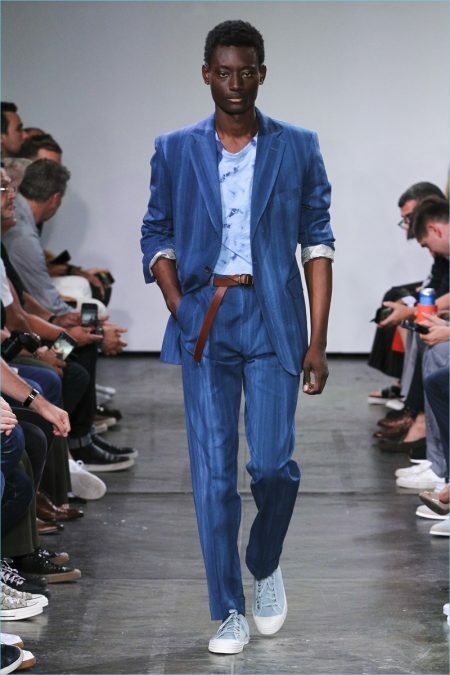 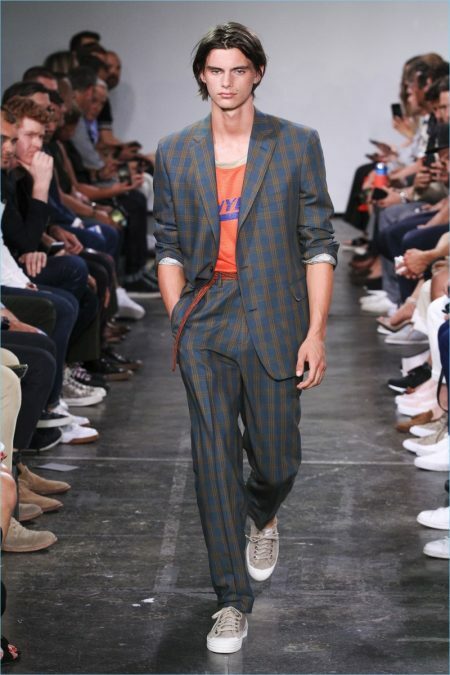 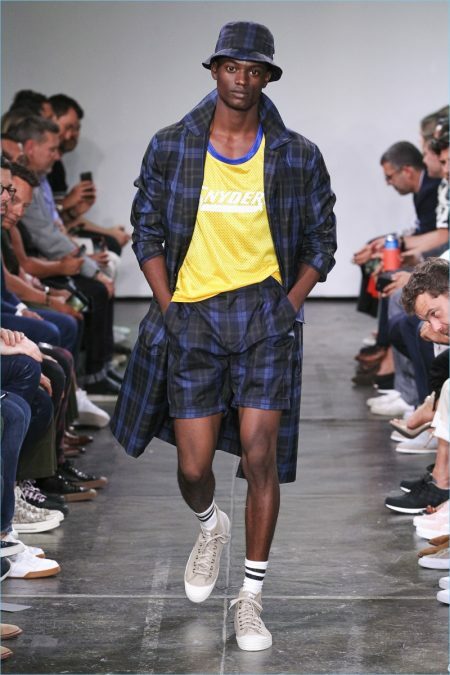 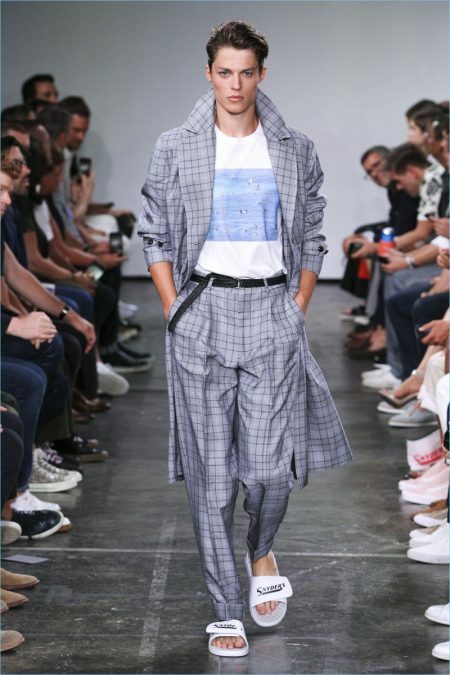 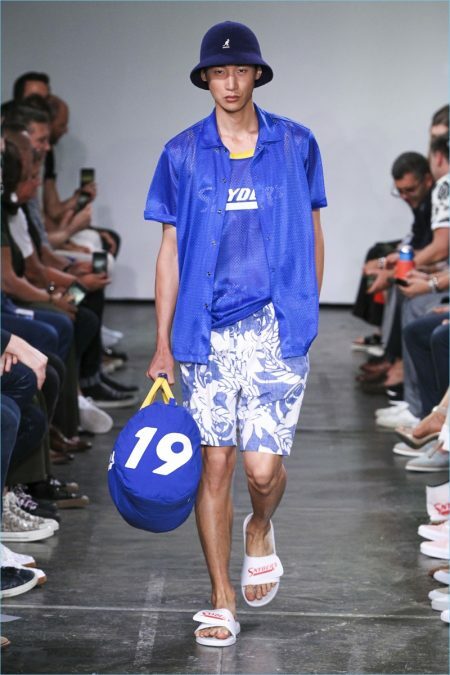 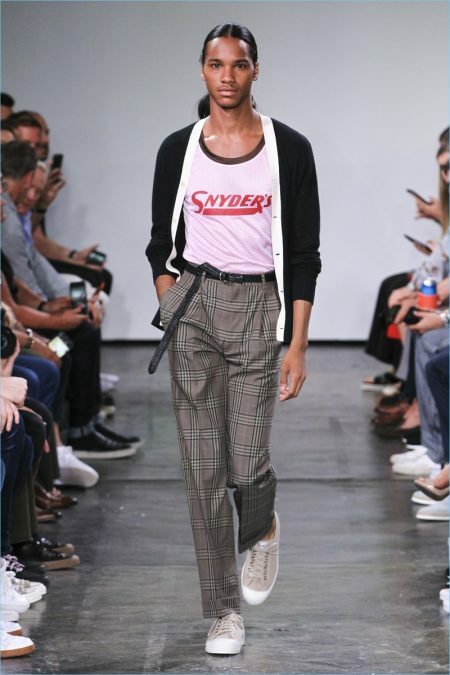 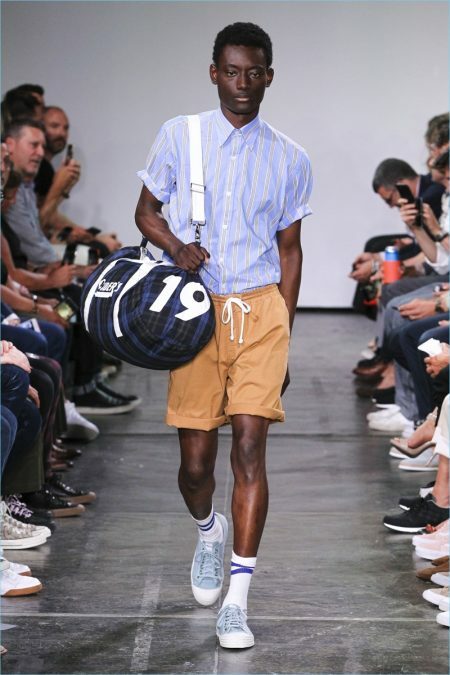 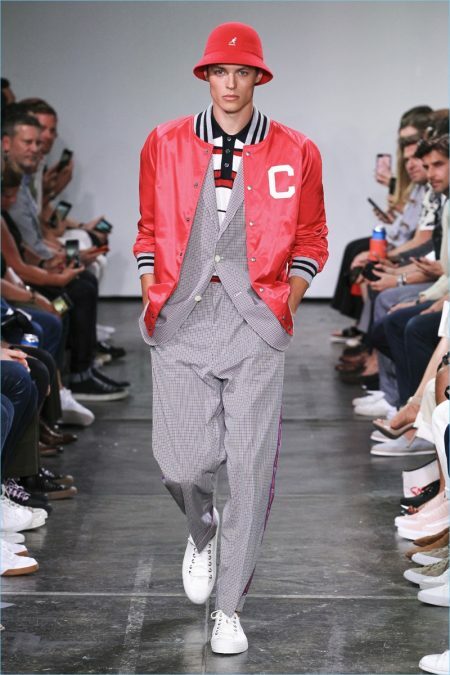 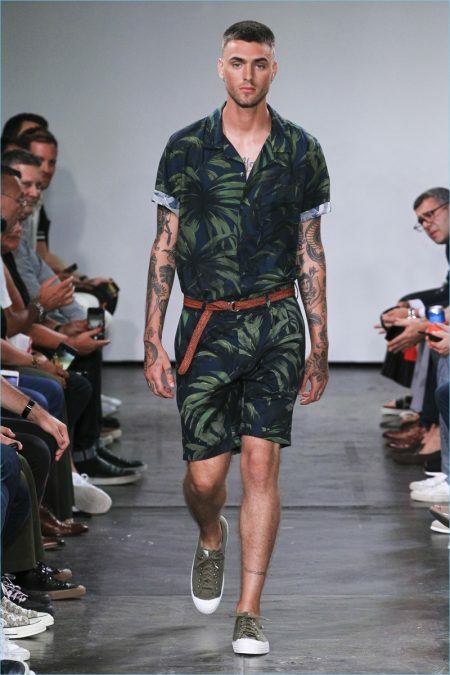 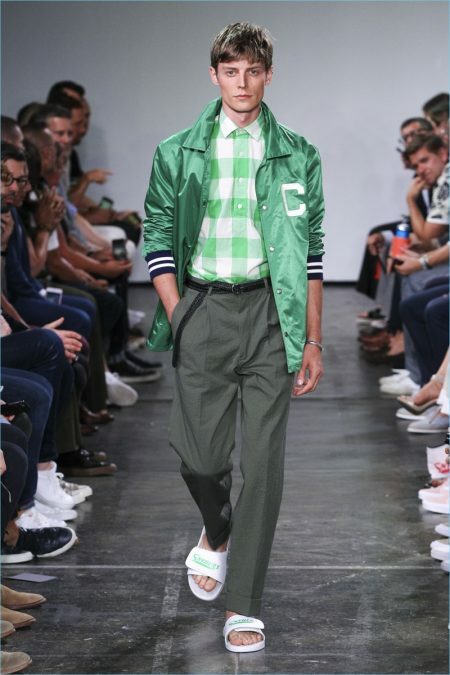 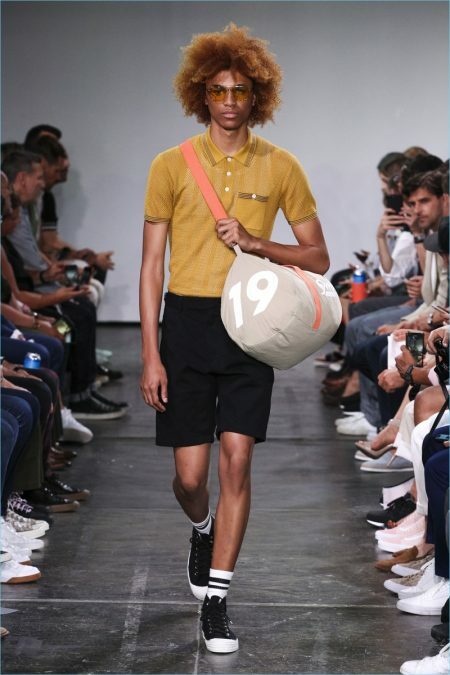 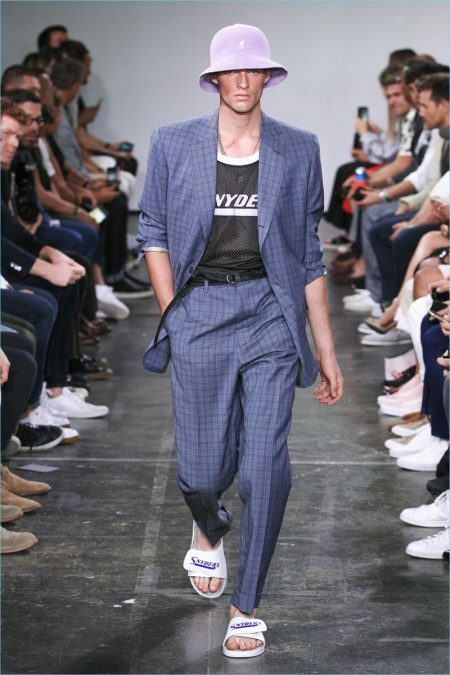 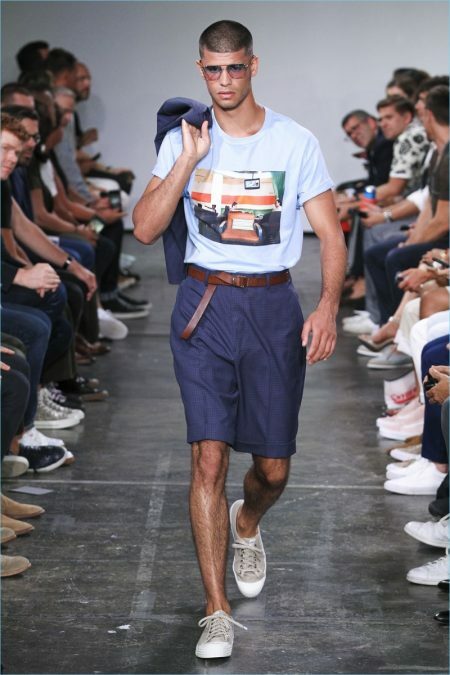 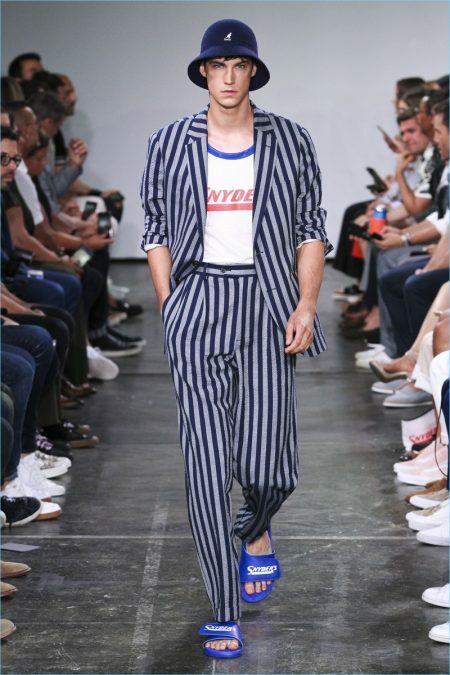 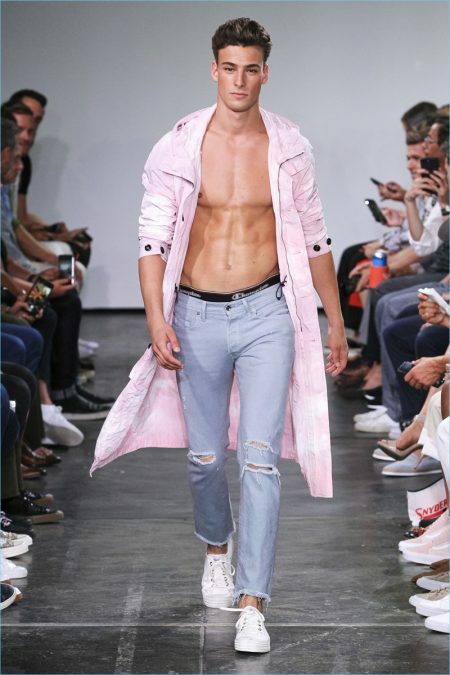 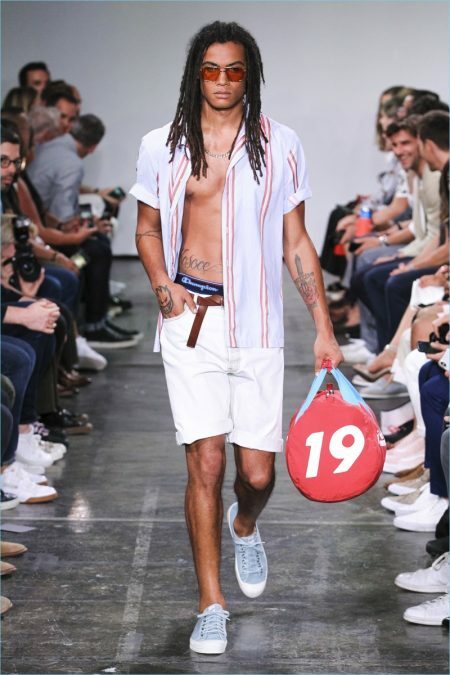 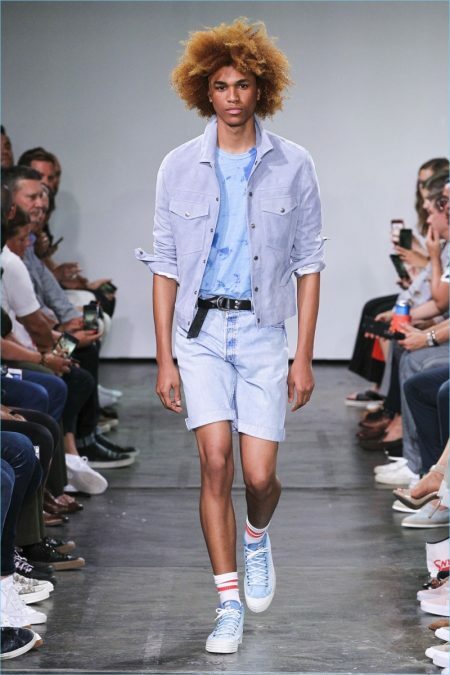 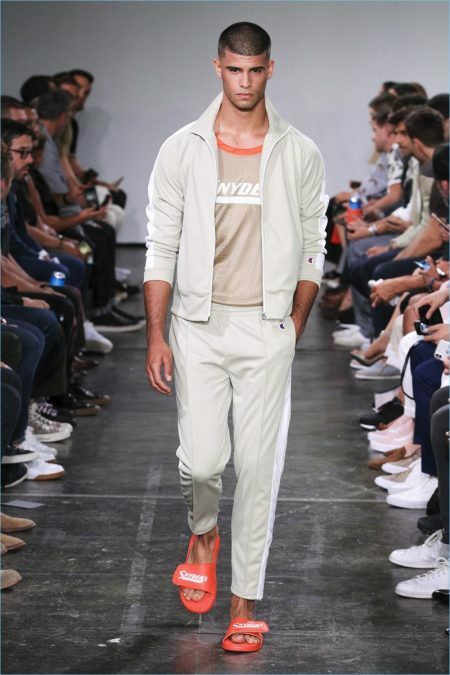 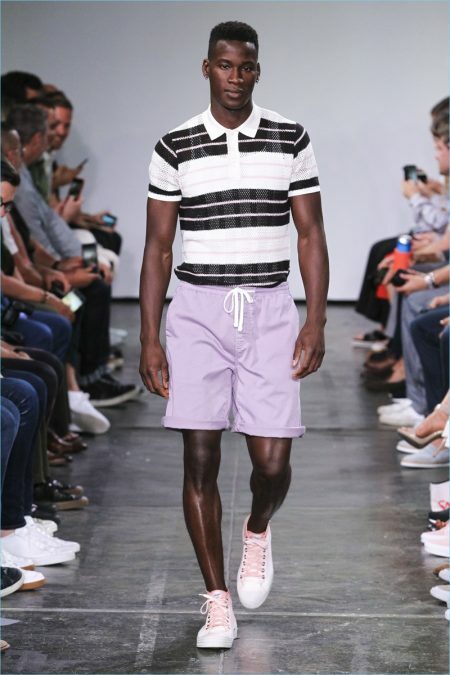 The Todd Snyder man takes a vacation for spring-summer 2019. 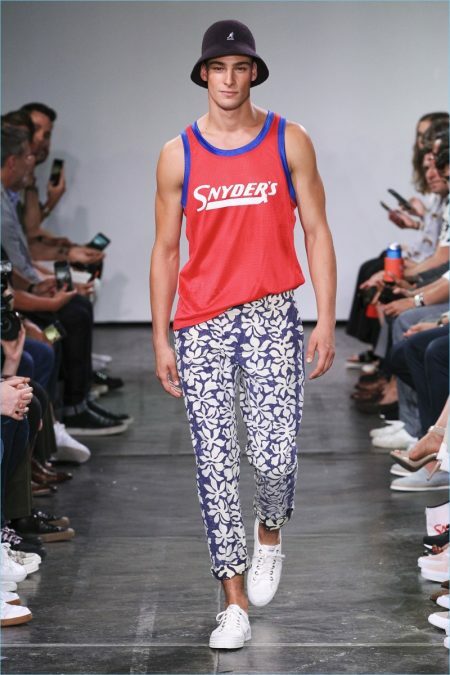 Celebrating "The American Tourist," Snyder went for leisure. 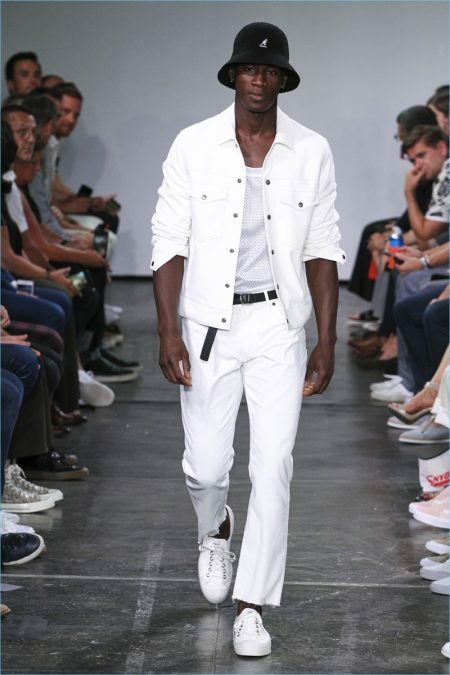 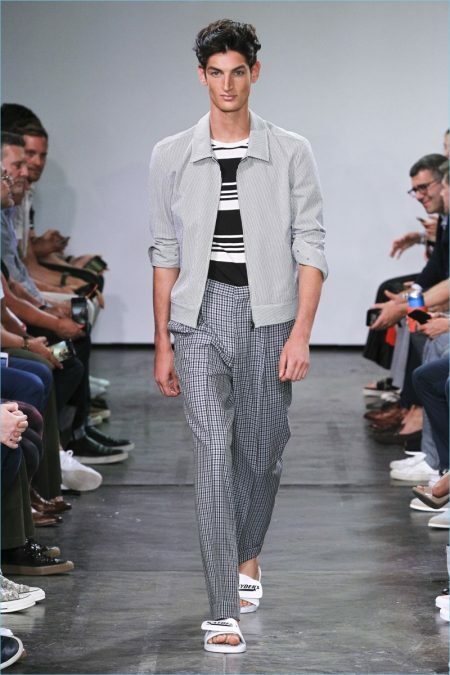 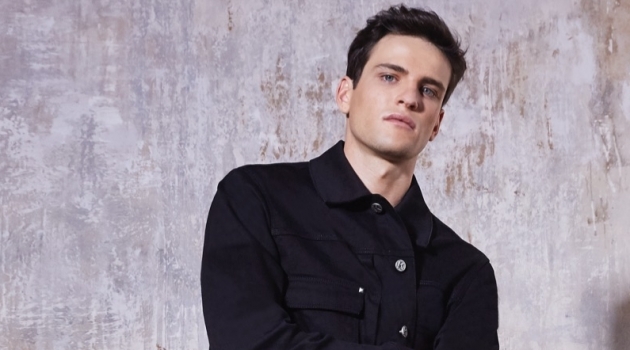 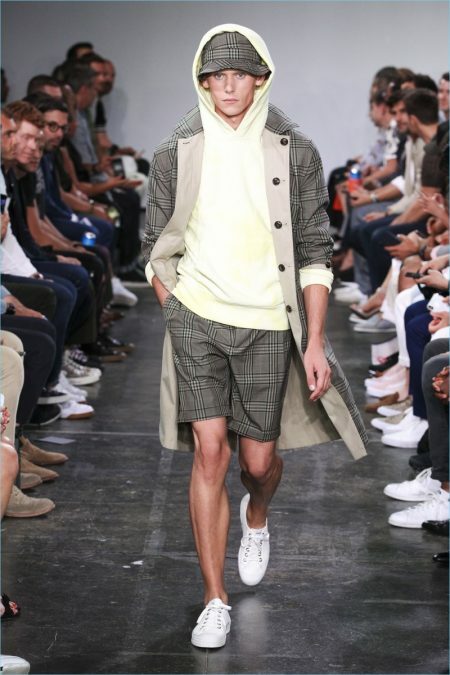 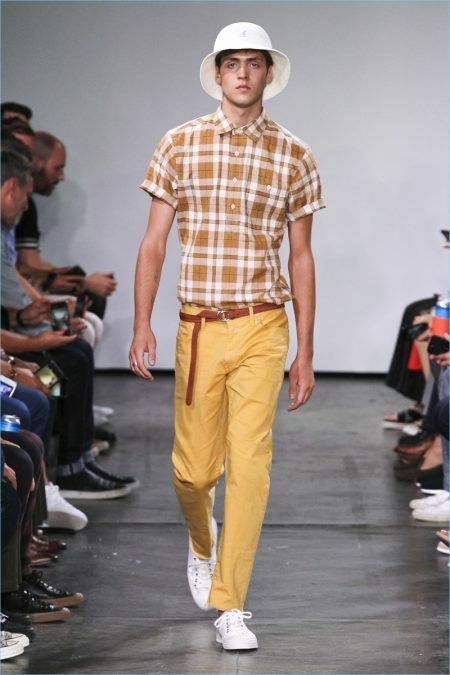 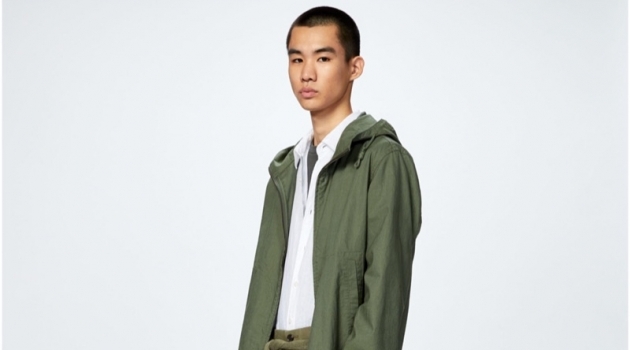 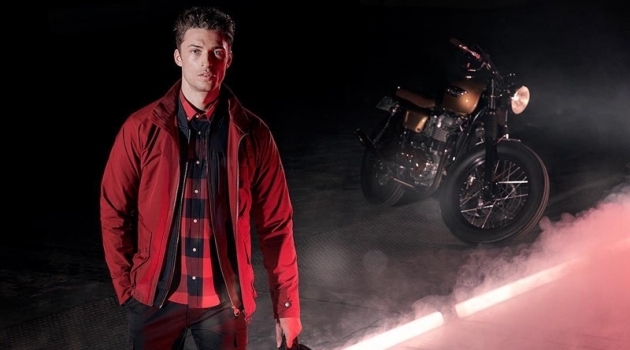 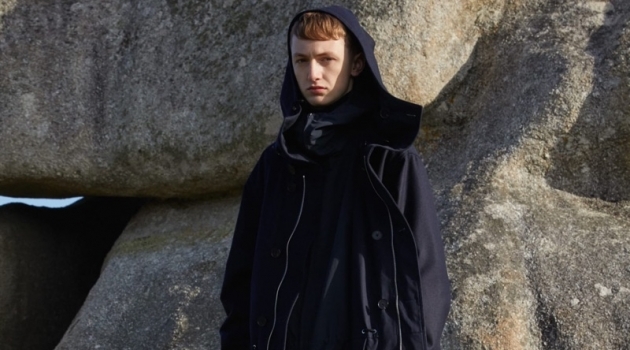 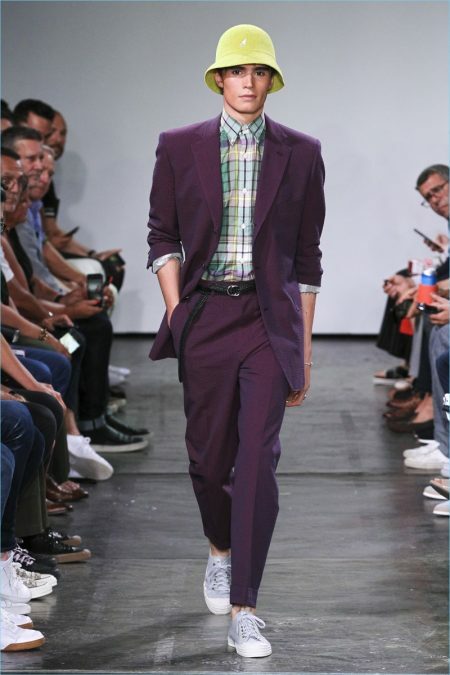 The designer juxtaposed the smart aspect of tailoring with the laid-back nature of travel. 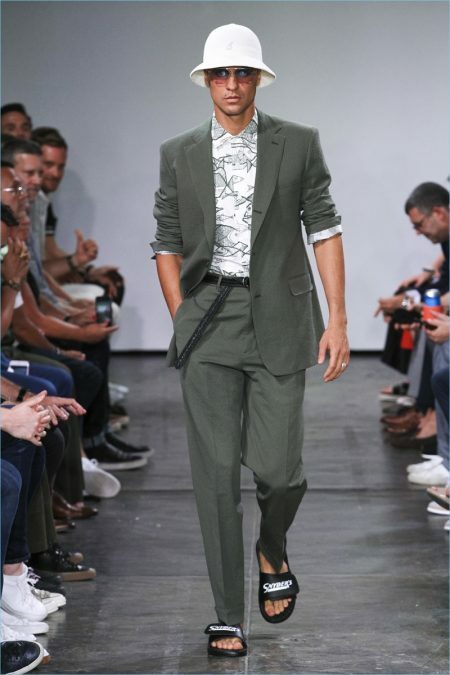 This season is met with relaxed suits, Cuban-collared shirts, pleated pants, polos, long shorts, and more. 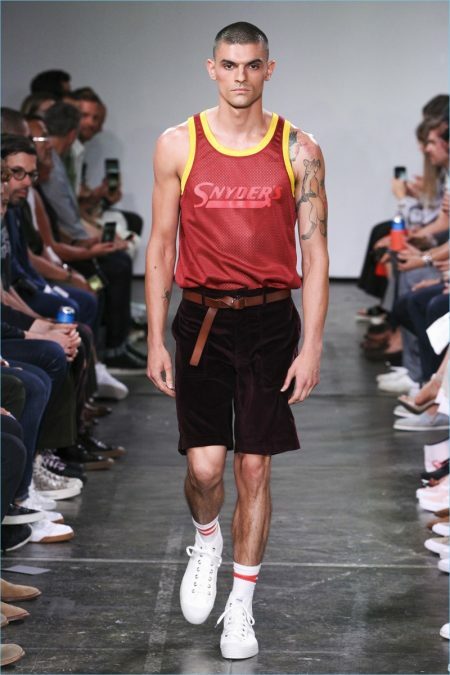 Snyder also unveiled a lineup of collaborations. 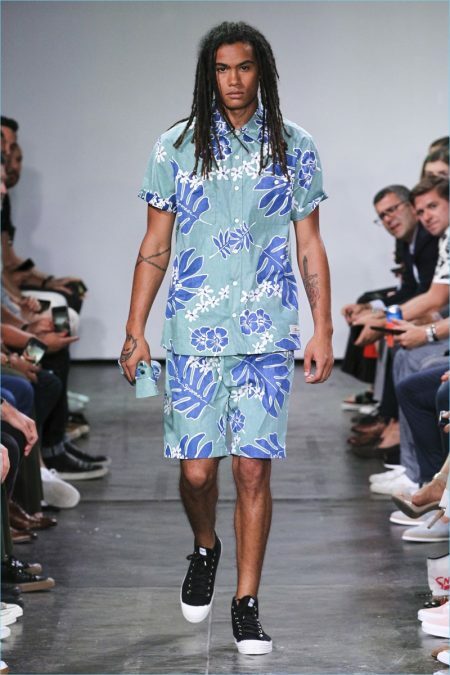 Kangol made an appearance with bucket hats, while Hawaiian prints were pulled from the archives of Reyn Spooner. 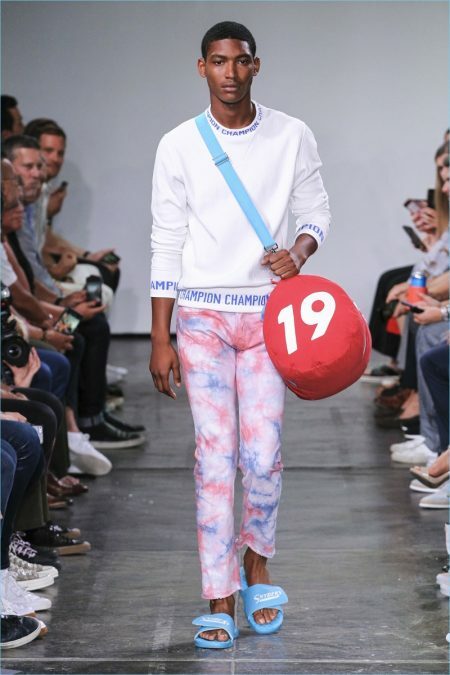 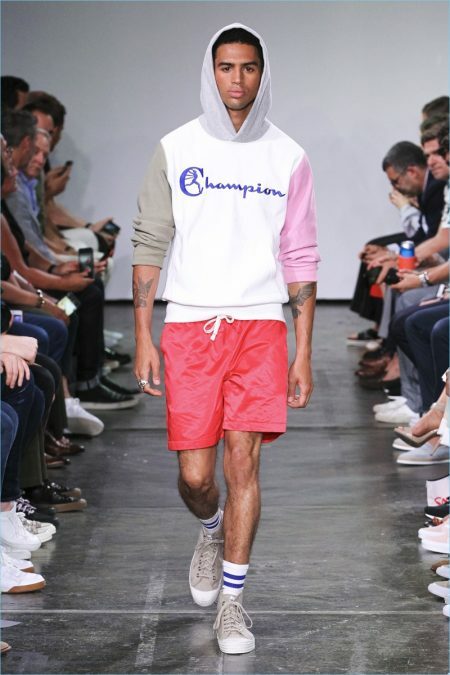 Meanwhile, Snyder continued his collaboration with Champion. 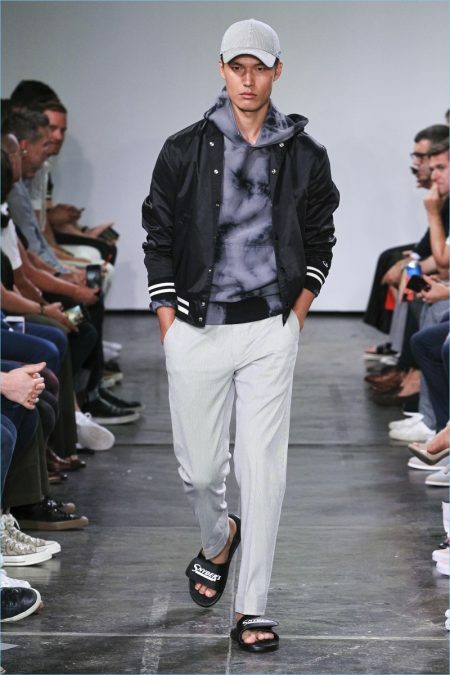 This resulted in a sporty array of sweatshirts, bomber jackets, and more. 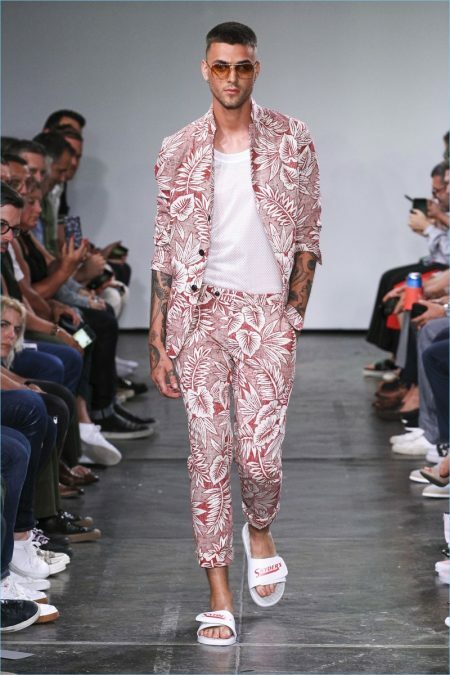 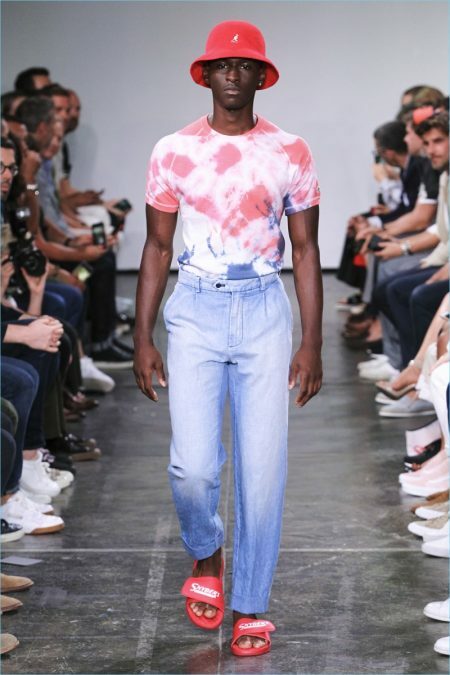 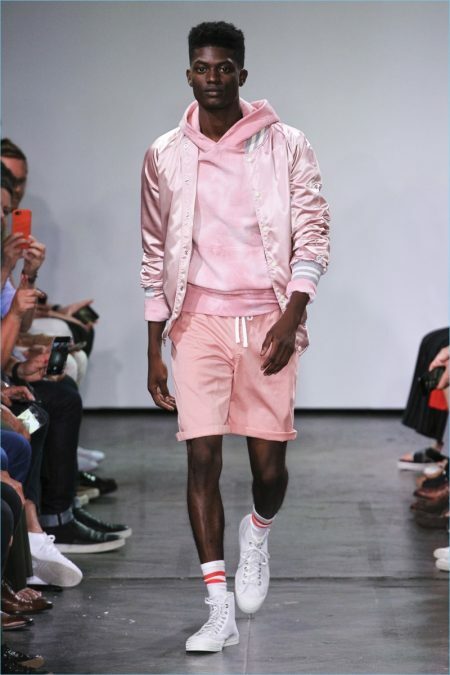 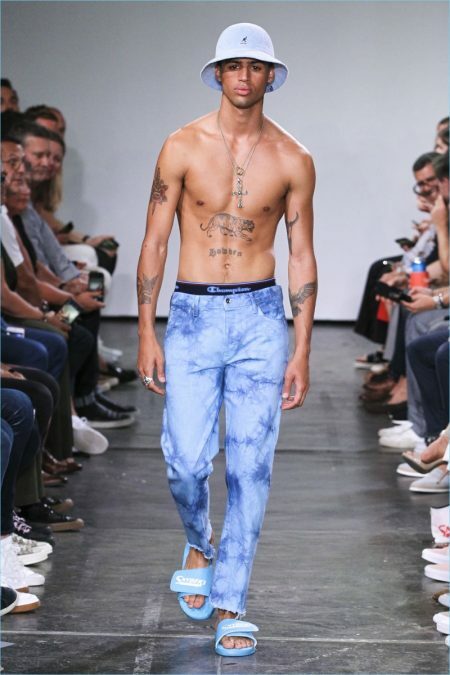 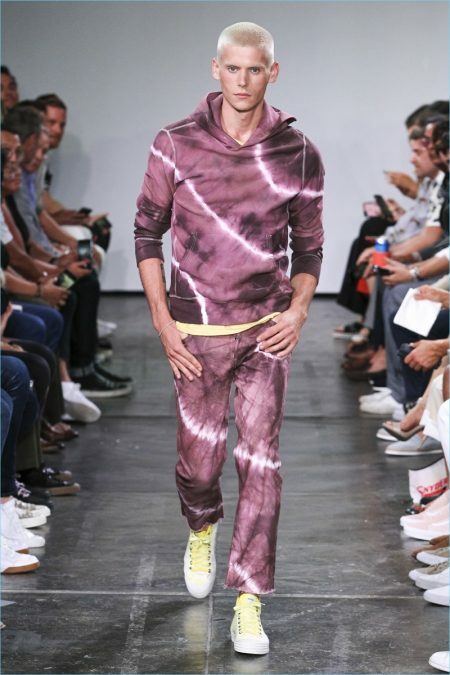 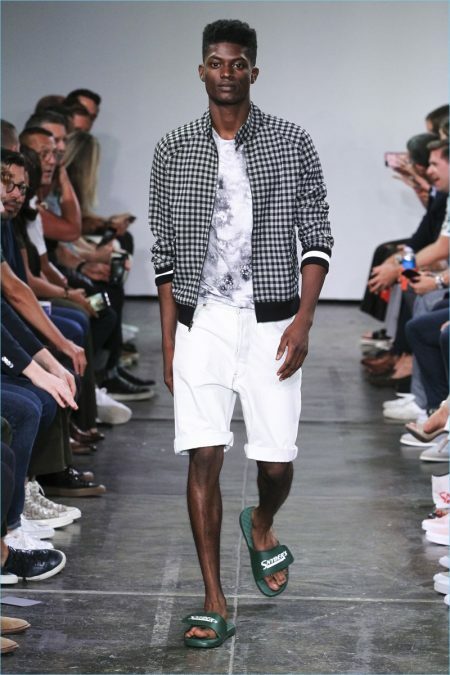 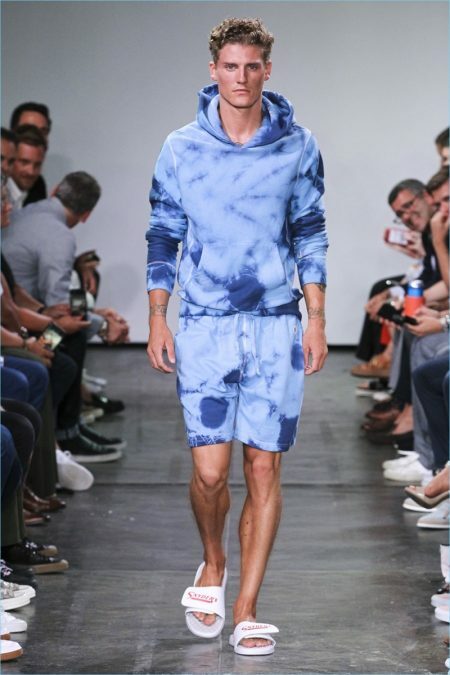 The collection also featured tie-dye shoes made in partnership with Novesta.